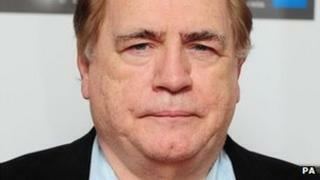 Actor Brian Cox has been re-elected as rector of the University of Dundee. The Hollywood star said he was "touched and moved" as students voted overwhelmingly in favour of extending his reign for another three years. He was the only nomination for the position and will be formally installed in a ceremony later this year. It is his duty as rector to serve students' interests including at the University Court, the governing body of the institution. Mr Cox, who hails from Dundee, said: "I cannot express how much I am touched and moved by the incredible support from the student body of Dundee University. "It is such a privilege and honour to be allowed to serve the students of Dundee for another three years. "I hope to reciprocate in my heart the tremendous trust you have given me." Mr Cox starred in the Bourne Identity and Bourne Supremacy films as well as Braveheart, and was the first person to play Hannibal Lecter in the film Manhunter. His expansive career began in his home city at the Dundee Rep theatre. He will appear on television screens soon in the BBC comedy series, Bob Servant Independent, which is set in the Dundee suburb of Broughty Ferry. Iain Kennedy, president of Dundee University Students Union (DUSA), said: "Having worked with Brian since he took on the role in 2010, I have witnessed his dedication to the students of Dundee University and I know that Brian will use his second term to continue listening and campaigning for them throughout the country."